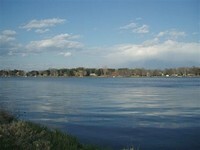 Northwestern Wisconsin is scattered abundantly with lakes, rivers, marshes, and other wetlands and wildlife areas. These natural landscapes provide us with scenic beauty, habitats for various wildlife, and several opportunities for outdoor recreation, conservation, preservation, and environmental interest. 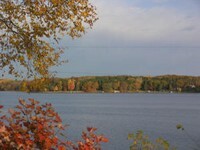 Barron County has 369 lakes and Polk County has 437. 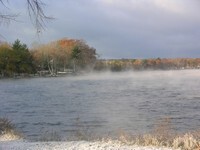 This lake is primarily surrounded by year-round residents. 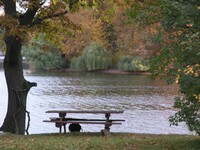 Skinaway Lake offers boating opportunities for non-motorized crafts. Wind through the waterways in a canoe or kayak. Drop a line and try stringing a pan fish- crappies, bluegills, sunfish, pumpkin seeds are a few of the available varieties. A nature preserve and learning center, open to all, dedicated to fostering understanding, appreciation and protection of the environment. Joel Marsh Wildlife Area is a 1,192 acre property located in Polk County. It consists of flowages, grassland, and upland forest. Find it two miles west of Turtle Lake off Hwy 8. 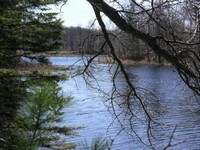 Loon Lake Wildlife Area is a 3,123 acre property located mostly in Barron County with a small portion in Polk county. It consists of rolling upland oak, maple, and aspen forest, grass fields, waterfowl flowages, pothole lakes, lowland brush, and the Apple River. Find it four miles north of Turtle Lake or four miles south of Cumberland. Rice Beds Creek Wildlife Area is a 3,181 acre property located in Polk County. It consists of rolling oak, aspen, and maple upland forest, lowland forest, stream, and ponds. Find it six miles northwest of Turtle Lake.